Again this year the ITB Berlin invites you to find out about the latest technology trends in the tourism industry. HitchHiker Flight API – Airline Merchandising Edition: The latest version 4.0 of our Flight API focuses on the integration of airfare bundles (branded fares) and lucrative additional services (ancillaries). New consolidator cooperation: In order to offer start-ups and small travel agencies without IATA license a complete solution for their flight business, we have recently concluded cooperation agreements with two additional airline ticket wholesalers, AERTICKET AG and BERlogic. HitchHiker Payment Gate: In addition to our cooperation with eNett, who already successfully handle supplier payments of our customers via virtual credit cards (eNett VANs), we are now able to offer a wider range of virtual payment cards and billing types thanks to our cooperation with AirPlus, WEX Europe and Wirecard. HitchHiker Queue Robot: The queue robot has been recently enhanced by a repricing function empowering an automated fare optimization for your tour operator bookings. 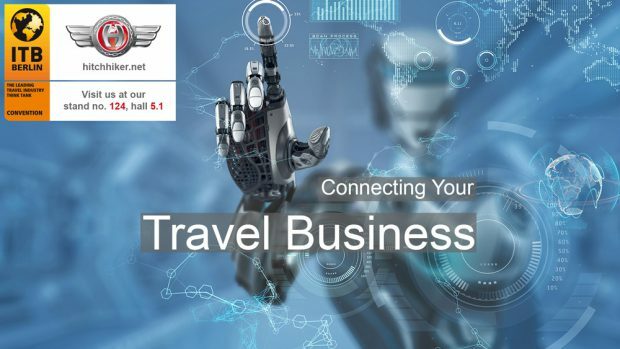 In addition, our robot includes a collection of useful modules for automating several business processes, such as the management of schedule changes and wait lists, standardized queuing of bookings, triggering of third party systems and ticketing of your Direct Connect bookings. HitchHiker Data Feed: On request, we provide tailored flight data packages at regular intervals – either for individual flight connections or entire markets – which allow for dynamic packaging of your ground services with a broad selection of low-cost flights. HitchHiker Airline Data Broadcast: Our broadcast service is a real-time data stream of all flight connections requested on our Flight API environment including the respective availability and price information. Use this data for your individual flight price comparisons, calendars or to generate up-to-date offers and benefit from a high accuracy and availability compared to the industry-standard cached data. We are looking forward to addressing some of these topics in detail with you during the ITB. Please book your appointment with us now. You may contact us by phone (+49 69 507030) or by e-mail to sales@hitchhiker.net. In case you cannot attend the show, we will be happy to propose an alternative for an in-depth interview.